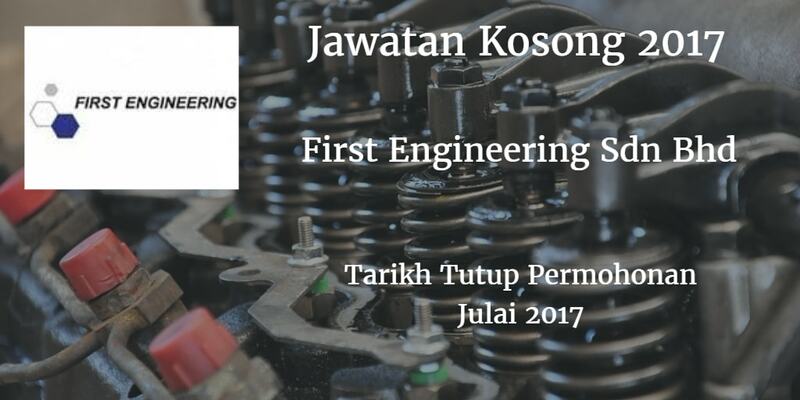 First Engineering Plastics (M) Sdn Bhd Warganegara Malaysia yang berminat bekerja di First Engineering Plastics (M) Sdn Bhd dan berkelayakan dipelawa untuk memohon sekarang juga. Degree or Diploma in related field, At least 5 years experiences. SPM / Certificate/Diploma in related field from IKM, ILP, or any recognized institution. At least 3 years experiences. Good in reading and writing.